If you are unlucky enough to have a problem with your car and need to make a claim on the warranty, here’s how to do it. Whether you buy a car brand new or used from a franchised dealer, if it comes with a manufacturer warranty it should be straightforward to make a claim. Most components on the car will be covered, with the exception of wear and tear items, so be sure you know the difference between a repair being required and the car simply needing a service. For repairs, contact the dealer, explain the problem and that you expect it to be solved under warranty. Most dealers will be happy to help and book the car in for an inspection. The advantage of a manufacturer warranty is you have access to the dealer’s full technical back-up and you may well get a courtesy car to keep you on the road while your vehicle is on the ramps. If there is a fault with your car, the dealer will be able to sort it and there should be no charge to you as the warranty insures you against this. This applies to standard and extended warranties. Any work carried out will be guaranteed by the manufacturer. It will also not affect your ability to claim on the warranty again should another problem arise. If you buy a used car from a main dealer that is too old to have any original manufacturer warranty left, it may come with an approved used warranty. Although this scheme will be backed by the maker and dealer, it’s still a third party warranty and is not likely to be as comprehensive as a new car’s cover. Claiming on an aftermarket warranty from a third party provider should, in theory, be simple. However, rather than phoning up the garage you bought the car from or your nearest friendly mechanic, you will have to contact the warranty company first. When you have explained the problem by phone or email, you may have to wait to fill in a form to detail why you think the work is needed and that it falls within the terms of the policy. After this, the provider will usually appoint a garage to carry out an assessment and quote for any repairs that are needed and will be approved by your warranty cover. 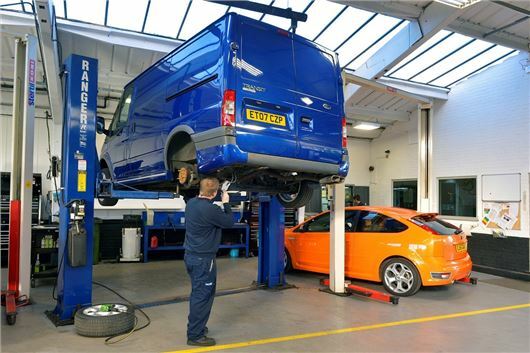 This all takes time and adds to the inconvenience you have to go through because you will most likely have to make a second booking with the garage to have the repair work carried out. It’s important to remember that some aftermarket warranties will not pay for investigative work to diagnose a problem and you may well be billed for this. It’s also vital to know how much your warranty provider will pay towards labour rates as these vary between different garages. If the labour rate charged by the company that fixes your car is higher than the agreed amount in the policy, you will have to pay the extra. You may also have an excess on the policy where you have to pay the first portion of the final bill before the warranty provider covers the rest. When the work on your car is completed, some warranty companies will pay the garage directly as one of their approved suppliers. However, it’s common for other warranty providers to expect you to pay the bill and then be reimbursed afterwards. It can take a long time until you are paid and - in some cases - can open up the possibility of the warranty company disputing the cost of work carried out. Make sure you have copies of all correspondence between you, the warranty provider and garage. Also, be clear about who is responsible for paying and how much that will be. Lastly, remember that all aftermarket warranties are provided under the regulations of the Financial Conduct Authority, so the provider is legally bound to honour the terms of the contract. If you think they are not doing this, be prepared to complain to get the repair and outcome that you want.